There are patterns to how I approach things, for better or for worse. There are steps, even. Something makes me uncomfortable and sticks in my head. It pisses me off, it chafes and it will not go away. It’s an idea or a sentence or a movie or a song or a word, but what it really is ultimately is a challenge to some truth I’ve accepted. I turn it over and over, trying to find the angle that lets me see what I need to see. I also try to find the angle that lets me put it away and not think about it any more. That happens, but less frequently than finding the thing I need to find. That process invariably leads to seeking out information by reading and writing and engaging in conversation with people I trust. One of two things happens next. Either I go back to step 1, and that can happen MANY times as I work through something, or I find the new truth and begin to live a little differently. Right now, I’m in the step 4 to 1 to 4 cycle. Last weekend I became obsessed with the idea that all this searching out Christ stuff is just a way of avoiding my fear that God doesn’t exist. I was going to write about it, but frankly I was too depressed to get out of bed and make it happen. Then I kind of rebounded into the things that still speak to me from earth-centered spirituality, from Wicca. Then back out to what drives me away from that community. And so it goes. It’s like this, to continue my trope of tarot illustration, and I am desperately trying to find a place in the middle, so as to avoid being thrown to the extremes of the edge. It’s a lifelong challenge. This is my soul card. I did a year reading on Samhain. November’s card was the Knight of Swords, which is pretty much all about my steps one and two above. December’s card is the Lovers, which is finding a way to relate. The Lovers is the resolution of step four, though I don’t dare assume that this card showing up means resolution is going to happen in December. It’s major arcana, which makes it about a life lesson. Certainly this feels like that. The transition from the Knight of Swords to the Lovers has been foggy and cold and cave-like. I’m not sure what comes next. 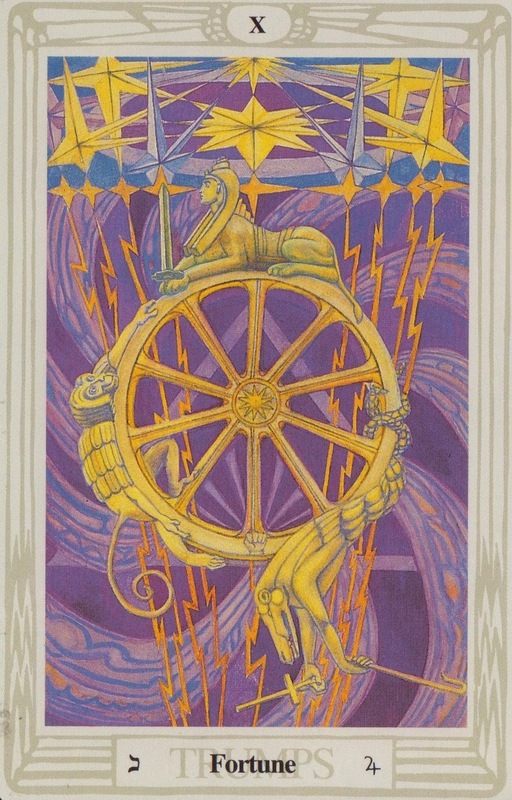 Seems right, somehow, that tarot is part of the journey, given how it melds so many different symbols of faith. January is the Ace of Swords. Maybe the cycle starts again, or maybe it’s something different all together. Time reveals all. This process is TOUGH. I don’t know anything. I am filled with doubt. I envy people who never struggle with faith, even as I know I could never be like them. I question. It’s what I do, and who I am. It’s not easy, but it’s real. I can’t pretend I don’t struggle, and I can’t pretend that my struggles and questions should somehow lead to discovery for someone else. I tried that for awhile. It never felt authentic. God or Christ or Gods and Goddesses… I have always felt there are more similarities than difference when you dig beneath the plants in the respective gardens. I do have fears of no God, no magick, no anything but the cold reality of science and space. Nihilistic though. And that’s not how I want to approach the world. And in my gut – in what one particular friend might call my Buddha self – I know that there IS something divine and greater. There are avatars and people who have connected to that. I just … need to find some peace around it. Community has helped that in the past. I hope the same will happen again, and soon.